If you’re hosting a family reunion and are looking for specific advice on what to ask a hotel, then you’ve come to the right place. In this article, you will find specific questions to ask hotel sales managers during the selection process. You can call hotels one at a time or have all the hotels you are interested in send you their group rates automatically by email. Just fill out a group request form and you will avoid lots of phone tag. Plus, this service is completely free. Within seconds of submitting the form, you should have hotels bidding their lowest group hotel rates. Narrow your choices down to three or four hotels and contact them (our automated service will provide the contact information for the hotels you are interested in). Call each hotel and start asking questions. What Questions Should I Ask When Booking A Hotel For A Family Reunion? What Is the comp ratio that you are offering? If you use the group hotel rates form above, then you will already have this information. If however, you got group rates manually then this is an important question to ask. The comp ratio is the number of rooms you have to pay for in order to get a free hotel room. Most family reunions can expect a 1 to 20 comp ratio when booking a block of hotel rooms. Will the hotel provide a complimentary hospitality suite? Can you bring your own food into this room? Make sure to ask about complementary hospitality suite for your family reunion. Many hotels offer either one of their meeting rooms or a guestroom (Suite) where family members can get together at night to hang out. It provides a great shared space for kids and adults. Make sure to bring lots of the board games to keep the kids busy. You can even ask if the hotel will provide a TV in the hospitality suite so you can use your Xbox or Wii. Can you book the hotel with no deposit and no attrition clause? Many hotels offer what is called a courtesy room block. In this kind of room block, the hotel agrees to a discounted rate for your family reunion but does not actually “hold” the rooms aside. It is your responsibility to get the family to call and make reservations before the hotel sells out. A courtesy room block does not require a deposit and does not include any attrition clauses. Will the hotel provide discounted menu prices for a banquet if you block hotel rooms. If you’re blocking more than 30 hotel rooms, then you can expect at least a 10 to 20% discount off menu prices for a banquet at the hotel. Can the hotel provide shuttle service to a planned activity(like a BBQ)? While the family reunion may be hosted at hotel, you will have outdoor activities and picnics to go to (Hopefully!!). Ask the sales manager if the hotel would be willing to provide free transportation to the park or activity. You can fully expect a no to this question but it doesn’t hurt to ask. If the hotel wants your business bad enough, they may just say yes. Can the hotel block rooms near each other so everyone is together? Make sure to ask if the hotel is willing to keep your family rooms near each other so you don’t end up using the elevator 15 times a day. Also, make sure the hotel provides connecting rooms for larger families with kids. Does the hotel provide a complimentary breakfast? A full kitchen? Will the hotel put a welcome sign on the marquee? If the hotel you’re visiting has a marquee, then it shouldn’t be too difficult for them to put up a sign welcoming your family reunion. If the hotel agrees to do so, make sure you get it in the hotel contract. 1. What are the state and occupancy taxes? 2. Is the Wi-Fi free? 4. Are there any resort fees or any other miscellaneous fees? 5. 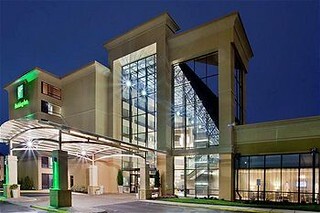 Will the hotel provide a registration desk near check in area for your family reunion welcoming committee. 6. Will the hotel hand out welcome gift bags at check in? When comparing hotels, take into account how eager a hotel is for your business. If you find that a specific hotel is willing to bend over backwards to make you comfortable, then you are at the right place. Block hotel rooms for your family reunion by getting group rates today. Remember that hotel rates go up as your reunion dates get closer so get started now. It’s free so you’ve got nothing to lose.